The TV series “Hawaii Five-O” makes life on Oahu seem like one endless car chase. It’s not quite that hectic, but 950,000 people call this island home, making the city of Honolulu a thriving metropolis. Embrace the urban nature of this tropical city: Fine dining, nightclubs, movies on the beach, and even a Chanel boutique can be found steps from the surf in Waikiki Beach. Or, if you’re looking for surfers and a quieter view of the island, you can escape the crowds on the sleepy north shore, lush green east end, or sun-baked west side. 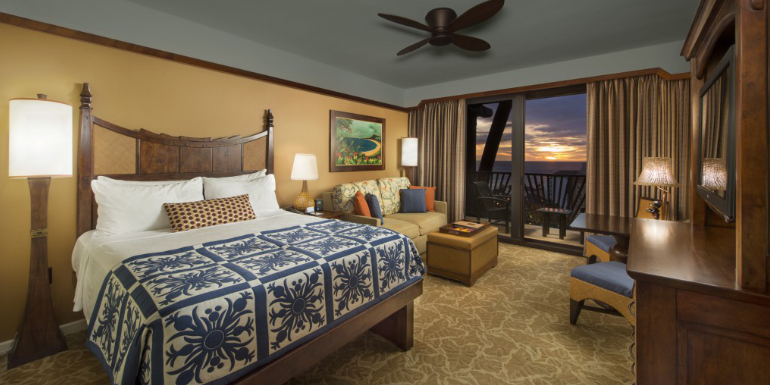 Splurge: Aulani – Situated at Ko Olina (30 minutes west of Waikiki), Disney's Aulani Resort feels luxurious and exclusive. The pristine beaches are used primarily by guests, and the ample rooms have balconies and DVD players. Families will be over the moon with the network of pools, thrilling water slides, and the free day-care program, but the presence of Mickey is limited to a few character visits and a cleverly concealed mouse-ear pattern in the quilts and wallpaper. Couples seeking romance won’t feel out of place at the adults-only pool or inside the beach-front restaurant, ’Ama’Ama. Steal: Vive Hotel Waikiki – The newest boutique hotel in Waikiki, the Vive offers guests a great location just one block from Waikiki Beach. Free amenities include continental breakfast, Wi-Fi, the local newspaper, beach towels, and all-day Kona coffee in the lobby. Rooms are thoughtfully designed to save space, with drawers under the bed, flat-screen TVs, and MP3 players. There are no restaurants on the property, but the staff members are happy to advise you, draw maps, and even counsel you on bus routes should you decide to explore without your rental car. Tip: With 82-degree year-round water temperatures, it doesn’t matter what time of year you visit Hawaii. So if you can avoid the school breaks, you will save dramatically on flights and hotel rooms. Just be aware that visitors from the other islands take advantage of travel deals on weekends, so weekdays are best for popular spots. Breakfast: KCC Farmer’s Market – Every Saturday morning, this collection of three dozen food stands represents the most delicious and innovative food on the island. Take on a fluffy stack of pancakes with fresh fruit and haupia (coconut pudding), spice up your morning with kimchi fried rice topped with an egg, or go healthy with savory taro hummus and a salad of naturally salty sea asparagus. Lunch: Lucky Belly – Chinatown is Honolulu’s Brooklyn: Hipsters go to walk the art galleries, shop trendy boutiques, and chow down at nouvelle Asian restaurants. No spot is more popular than this food truck turned restaurant. 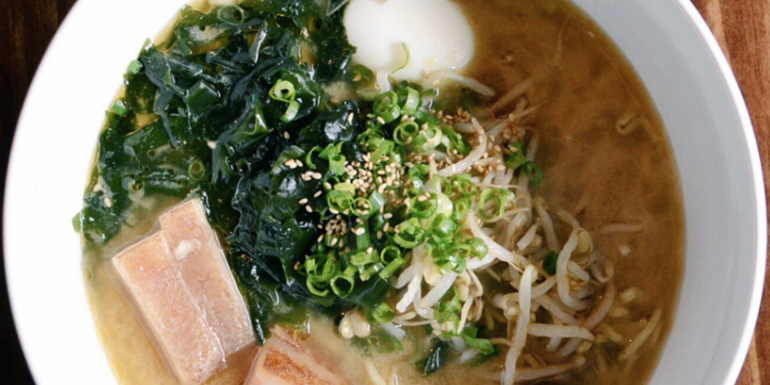 Open daily — except Sundays — for lunch and dinner, the Belly Bowl of ramen is legendary, and the Chinese oxtail dumplings and pork bao are also crowd pleasers. Dinner: Hula Grill Waikiki —Visitors here rave about the scrumptious meals as well as the view right on the beach. Located at the 4-star Outrigger Waikiki Beach Resort, you'll find something for everyone on the menu here. Try the Poke Tacos, Gauva BBQ Chicken, and the fresh fish special of the day. Don't forget to check out their cocktail menu too, they source many ingredients locally. Dessert: OnoPops – You won’t find salty-sweet ice pop flavors like Pineapple Li Hing, Butter Mochi, or Pickled Green Mango on the mainland. Not feeling that adventurous? The Mango Honey Cream, Guava Tamarind, and Maui Goat Cheese are equally tasty, and thanks to popular demand, you can find these cheap treats in many locations across the island. Tip: In Hawaii, even an average hole-in-the-wall can deliver amazing Asian flavor, thanks to generations of Chinese, Japanese, and Korean immigrants mingling. For Everyone: Kailua & Lanikai – Kailua may be best known as the place the president vacations, but this thriving suburb just 30 minutes from Waikiki provides stunning — and much less crowded — white sand beaches ideal for body surfing, sandcastle building, and lounging with a book. When your stomach begins to rumble, drive into town for fish tacos at Cactus or meatball pizza at Prima. Kailua has also seen an explosion in boutiques, including Olive and Oliver and Fighting Eel, where you can browse contemporary, versatile dresses made from “Brady Bunch”-era prints. 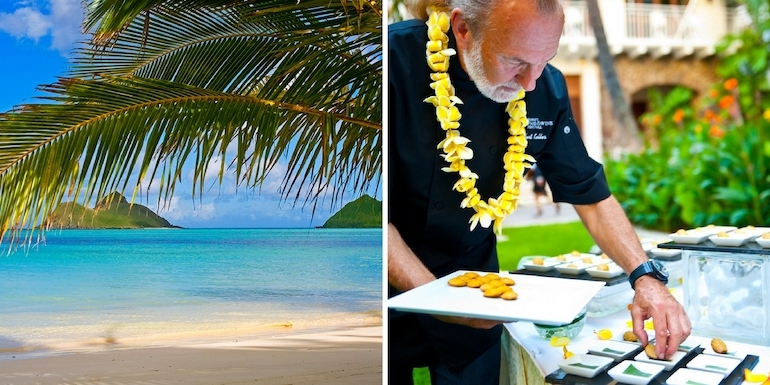 For Couples: Hawaii Food & Wine Festival – If rubbing shoulders with top chefs while you go back for seconds and thirds of their signature dishes sounds like your idea of nirvana, schedule your cruise for late August or early September, and spring for tickets to this annual festival. Held the first week of September, events are hosted at some of Oahu’s best hotels. For Families: Highway 72 to the North Shore – Commonly referred to as “taking the long way around the island,” Highway 72, which begins where Waikiki meets Diamond Head, is not just a drive away from the hustle and bustle of Honolulu, but a drive 30 years back in time. This will take you two to three hours, but you’ll wind your way past beaches worth stopping at, and munch at roadside shrimp trucks in Kahuku. Once you get to the North Shore, snorkelers should pause at Sharks Cove. In the summer months, Waimea Bay, Pipeline, and Sunset Beach are swimmable; in winter, you’re better off watching the pros. What do you like to do in Oahu?